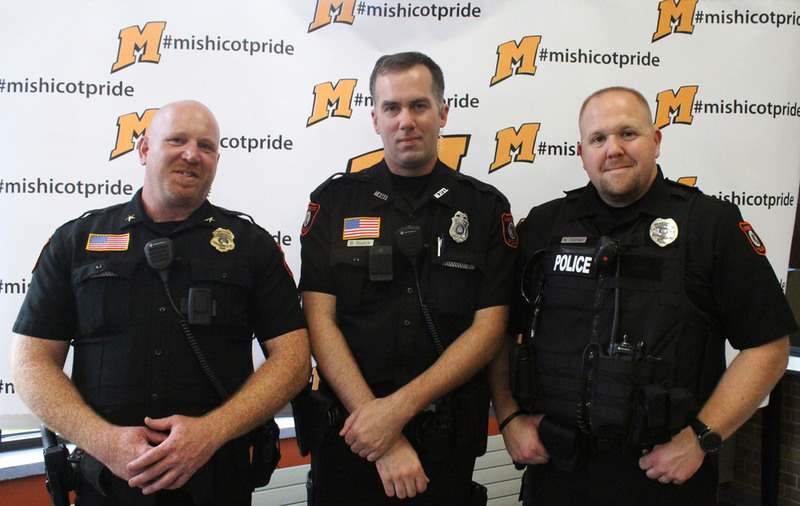 The School District of Mishicot is pleased to announce its partnership with the Village of Mishicot to provide a Student Resource Officer (SRO) in the district. The SRO position will be filled on a rotating basis by all members of the MishicotPolice Department. The SRO office is located in the High School with the position serving all members of the Mishicot Community through a variety of outreach and educational opportunities. The resource officer may be reached by calling 755-3286.